I grew up in the Southwest and became interested in American Indian Antiquities and Western Memorabilia early on in life. My roommate, while going to school, was a Taos Indian and he was a big influence on me. Steven taught me the ways and cultures of the Native American Indians and I soon began associating with them. I started working for my father when I was eight years old and developed good working habits that I kept throughout my life. Having money in my pocket when opportunities came up has brought great fortune to me in many ways. By the time I was nineteen years old, I worked for myself and made my living by Trading in Native American Indian items, old cowboy items and antique firearms. 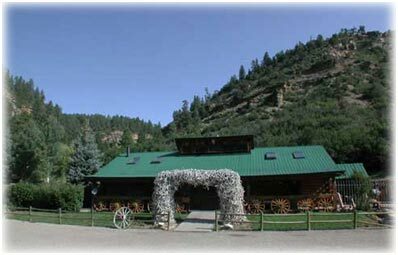 Business was so good, I was able to move to Durango Colorado with my wife and buy a small ranch. By the time I was twenty-four years old, I bought a piece of property just west of Durango, on the main Hwy to Mesa Verde National Park, and built a beautiful Trading Post. I had also taught myself to be a silversmith as well as a gemstone cutter. The Trading Post began dealing in Antique Firearms, Old West Antiques, pre-1900 Winchesters and Colts, Native American Indian Jewelry and Jewelry made by my wife (Estell) and I. We would open from May 15th through October 15th annually and then we would hunt for treasures to sell in our Trading Post the balance of the year. In the mid 1970’s to the mid 80’s the Navajo Indian Reservation went through major changes, it was through a period of modernization and the old way of life became the past. In this period I was a very active Indian Trader and on the hunt for all of the old treasures that many Navajos as well as the Trading Posts on the Reservation were liquidating. The old Indian Trading Posts were being turned into 7/11 type mini-markets and the Native American Indian public were anxious to adapt to a new/modern way of life. I began Trading on the Navajo Reservation by taking my truck out to the middle of Navajoland and going from one Hogan to another. 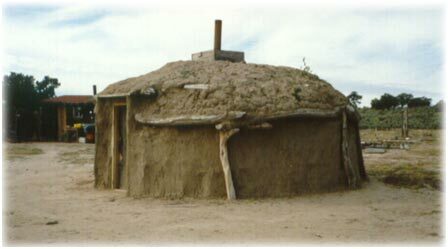 There were no paved roads and the Hogan’s that the Navajos lived in were little octagon or round shaped, one room huts made from adobe and local wood. Most had no running water, many did not have electricity and the whole family lived in one room. When I would drive up, the Natives would peak out the door as there were no windows. I would wait for hours sometimes until the people would finely come out to see what I wanted. I spoke in a type of sign language and eventually learned the key Navajo words. Once the people would come out, I would show them examples of what I was looking for and then I would show them the trade goods I had in my truck. I would bring soda pop, candy bars, bread, hot dogs and all types of other yummy foods. I would also bring dry goods such as clothing, shoes, towels, blankets, candles, flashlights, batteries, etc. and most important - toys for the children. I learned quickly what the Navajo’s needed and would trade for. The Navajo’s would then go back into their Hogan or other out buildings and bring back all types of things to show me that they would be willing to trade. It was the end of the old west era so they had a lot of old saddles, chaps, spurs, horse gear, guns, Navajo Rugs, Indian Pottery and of course loads of Turquoise Jewelry. Most of the horse gear had Silver Conchos and other tooled silverwork, they had really great trade items. I would pick out what I wanted from the collection they had accumulated and then they would do the same from mine. I was always generous to the Navajo Indians and respected them. Usually the Navajo Mother would make me a nice meal and then they would take me to their relatives or friends Hogan and help me make more trades. I would stay on the reservation until I had traded off most of my items, usually about five to seven days. I would often sleep in my truck by the Hogan’s of the Navajos- as some wouldn’t have it any other way. We would play ball and games with the children and have a wonderful time even though we could barely speak to each other, really we did not need to and the Navajo were not big talkers anyway. We would stay up at night by a campfire until it was time to sleep, usually just before dark. In the mornings, the Navajo family would be up waiting for me to roll out and they would have a meal ready to eat – it was great and I fell in love with many of the Navajo people. One of my favorite areas that I would go back to time after time was the Tsegi Canyon region. Just west of Kayenta, Arizona is the most beautiful valley/canyon. It runs predominately north and south from Navajo Mountain. Looking down into the canyon from the rim it looked like Sedona Arizona 100 years ago. Red rocks, pinnacles, cedar and pinion trees and Navajos herding sheep is what you see. I would often drive to the canyons edge, enjoy Tsegi Canyon for the evening and sleep in my truck, enjoying the wild solitude and peacefulness. My Trading to the Navajo years are some of the most memorable times of my life. I have a great respect for the Navajo and Navajoland. There still is a beautiful way of life out there on the reservation and many people still live quiet life of solitude. 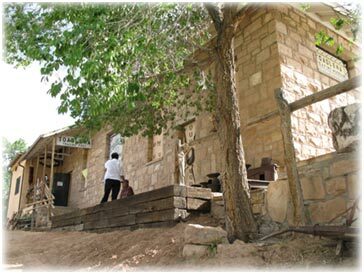 There are many places to visit and explore on the Navajo reservation. The old Trading Post locations are great single destinations, although they are not what they use to be, you can imagine and enjoy the countryside to and from the location. 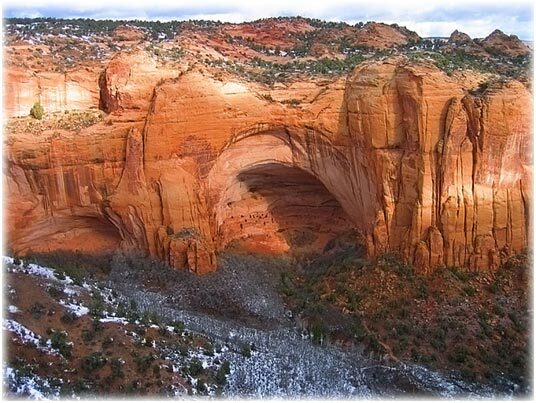 Try driving to and around the Navajo Mountain area which is N.E. of Kayenta, AZ – The Shonto Trading Post area, and go to Hubble Trading Post just west of Gallup, Nm. 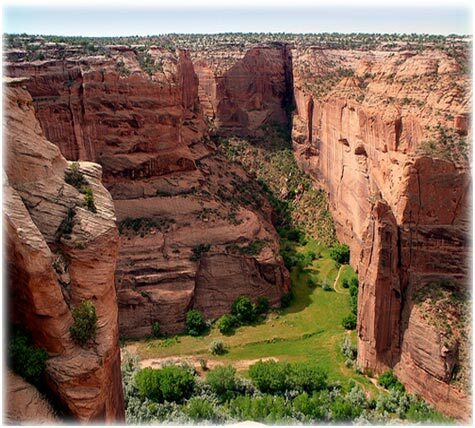 Chinle and Canyon De Chelly are spectacular, take one the tours into the canyon via horseback, guided four wheel drive truck or hire a Navajo to take you into the canyon in your own vehicle. There is a great campground as well as the Thunderbird Lodge (http://www.nationalparkreservations.com/canyondechelly.htm) at the head of the canyon – both are great places to stay. Have a Navajo Taco in the restaurant of the Thunderbird Lodge. You can easily spend two days in the Chinle area. I encourage you to visit Navajoland as it is still a unique area of the Southwest and is still enchanting beyond your imagination. The Navajo are great people and generally friendly. Remember, they are generally the quiet type and do not talk a lot – that is just their way.